In this book Shiva-Tattva, Srila Bhaktivedanta Narayana Maharaja brilliantly clarifies the holy Hindu trinity: Brahma, Visnu and Shiva. Empowered by his spiritual masters in the disciplic succession of the Gaudiya Vaisnava tradition, he reveals the conclusive truth (tattva) of Lord Shiva’s original position and gives us a look into his endearing and affectionate nature. Issuing from the divine mouth of Sri Caitanya Mahaprabhu, the eight verses comprising this Sri Siksastaka shine as the supremely radiant transcendental jewel of the entirety of Indian literature. They are the very essence of all the Vedas. Although its Sanskrit language is quite simple, its import is so profound that even if one studies it throughout his life, his study will not come to an end. Each time one reads and deliberates on this subject, newer and newer meanings come to light. This definitive edition with the translation and commentary of Srila Bhaktivedanta Narayana Maharaja features the soul-stirring Sri Sanmodana Bhasyam commentary by Srila Bhaktivinoda Thakura and the Vivrti commentary of Srila Bhaktisiddhanta Saraswati Prabhupada. The purpose of this Sloka book is to help the devotees study, remember and meditate on slokas. Slokas are pathways to the spiritual world. Memorizing and meditating on slokas is an integral part of our sadhana-bhajana. Hearing and reciting them create spiritual impressions which help one to make progress in bhakti. The slokas of the Bhagavatam are not merely words on paper; they are all transcendental personalities, and each and every sloka has its own svarupa (personal form and nature). Slokas are conscious and, like the Hare Krsna maha-mantra, nourish our bhakti and are food for the soul. Therefore, one should not try to master the slokas as if they were a mundane object of knowledge. Rather, one should approach them with humility and affection, coupled with a mood of service, just as one would approach Sri Guru. When we develop a little affection for someone, we naturally become interestd in them and they become interested in us. It is a matter of relationship (sambandha). Similarly, As we pray to the slokas and meditate on them, we develop a relationship with them. 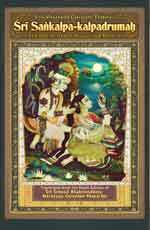 As this relationship becomes deeper, the slokas gradually unfold and reveal ever-new realisations. They become familiar like dear friends, walk into our hearts and enrich our spirtiual life with a higher taste. ( Please note the chapters are not in order in enclosed PDF file, however, you can search for page numbers. A new file will be available in December 2010 ). This small booklet is the translation of an article appearing in Hindi edition of Sri Sri Bhagavata Patrika, Year 4, Issues 7 & 8, September and October 2007 on the glories of Sri Rupa Gosvami. A detailed and nectarean account of Srila A.C. Bhaktivedanta Swami Prabhupada’s long-standing relationship with both his sannyasa-guru, Srila Bhakti Prajnana Kesava Gosvami, and Srila Bhaktivedanta Narayana Maharaja. A compilation of essays which illuminate the subject of Sri Guru Tattva and glorify Gaudiya Vaishnava siddhanta. This unprecedented edition contains the commentaries Srila Radha-ramana dasa Gosvami, Srila Bhaktivinoda Thakura and Srila Bhaktisiddhanta Sarasvati Gosvami Prabhupada. Translated from the Hindi edition of Srimad Bhaktivedanta Narayana Maharaja, Sri Upadesamrta gives instructions indispensable for practitioners (sadhakas) of the devotional path (bhakti). Without following these instructions, entering the realm of pure devotion and especially following the intricate and elevated path of spontaneous devotion (raganuga-bhakti) is not only difficult, but impossible. Vaisnava-siddhanta-mala was originally composed in the Bengali language by the incarnation of auspiciousness upon this world, om visnupada Srila Bhaktivinoda Thakura who is to be included as an intimate member among the eternal associates of Sri Sacinandana Caitanya Mahaprabhu, who is the purifier of the age of Kali and the source of all incarnations. Selected verses from the Vedic literatures have been assembled here to provide the reader with a comprehensive analysis of the question, “From whom should I inquire?”. “The Song of Krsna’s Flute” is translated from the Hindi commentary of Srila Bhaktivedanta Narayana Maharaja reveals the depth of the commentaries of Srila Jiva Gosvami and Srila Visvanatha Cakravarti Thakura. The Srimad-Bhagavatam is the fully ripened, nectarian fruit of the desire tree of Vedic literature which comprises the entirety of Indian thought. Within Srimad-Bhagavatam, gopi-prema has been ascertained to be the ultimate objective. A few towering waves of gopi-prema can be seen from the Venu-gita portion of Srimad-Bhagavatam. Rasika bhaktas drown themselves in these waves and even lose all consciousness of their own bodies. Greed to be immersed in this nectarian ocean sprouts even in the hearts of the faithful devotees who are situated on the shore of this ocean.